Users of multiple mounts will enjoy more flexible use of their valuable lens assets. The LED display on the MOUNT CONVERTER MC-11 makes it easy to know whether an attached lens is compatible or not. A new device that expands the possibilities of lenses, making them more valuable than ever. MOUNT CONVERTER MC-11 incorporates the digital data necessary to provide fast and smooth AF for compatible lenses as well as OS features and functions of the camera that help control peripheral brightness and correct transverse chromatic aberration, distortion, and more. 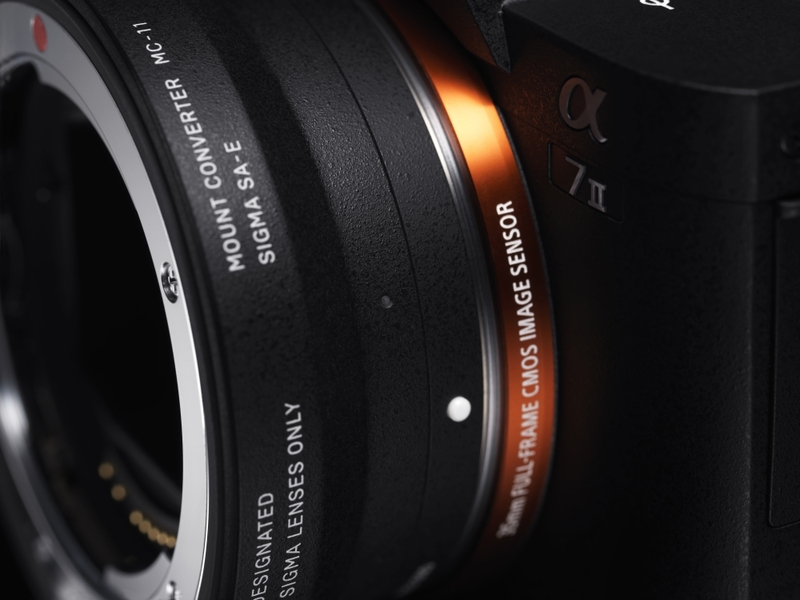 In addition, since Sony E-mount camera bodies do not require mechanical integration with lenses for aperture control, the MOUNT CONVERTER MC-11 makes SIGMA SA mount interchangeable lenses and SIGMA interchangeable lenses for Canon cameras fully compatible with the automatic exposure control of Sony E-mount camera bodies. MOUNT CONVERTER MC-11 is ideal for professional photographers who use different camera systems depending on the subject, as well as amateur photographers who enjoy using a variety of camera systems. Increasing the compatibility of lenses with different camera systems makes these assets more valuable than ever. In addition, users of Sony E-mount camera bodies will enjoy an immediate increase in the number of lenses available to them. With the MOUNT CONVERTER MC-11, users of SIGMA SA mount interchangeable lenses and SIGMA EOS mount interchangeable lenses for Canon camera bodies can use them as is with Sony E-mount camera systems. Users of multiple mounts will enjoy more flexible use of their valuable lens assets. 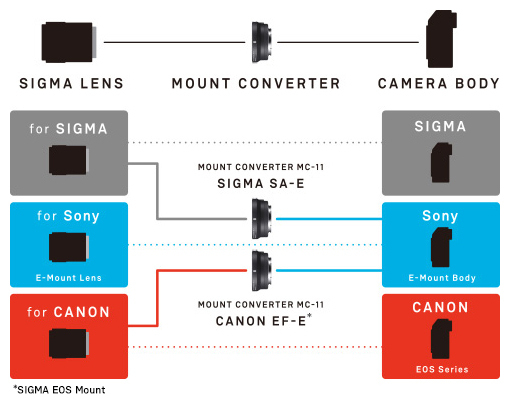 The MOUNT CONVERTER MC-11 gives Sony E-mount camera body users access to a total of 27 SIGMA interchangeable lenses. 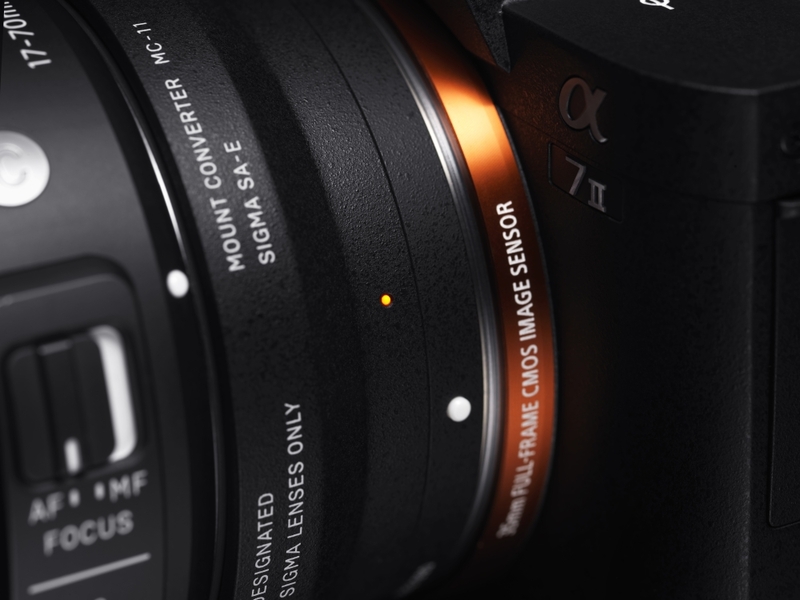 Thanks to compatibility with auto-image area setting functionality, SIGMA DC lenses for APS-C sensors can be used with camera bodies with full-size sensors without the need for any special operation. 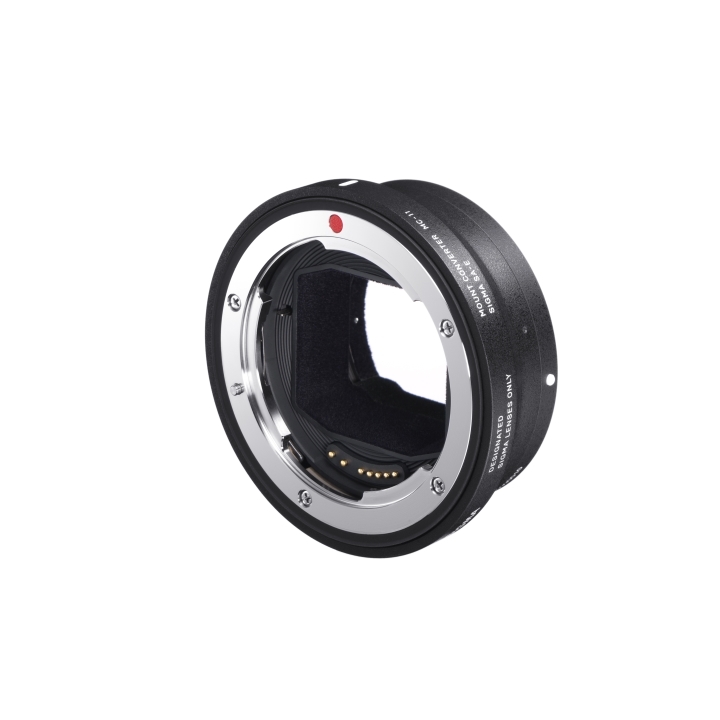 Compatible SIGMA DC lenses can therefore be freely used with Sony E-mount camera bodies. *2 MC-11 is not required. The LED display on the MOUNT CONVERTER MC-11 makes it easy to know whether an attached lens is compatible or not and whether the mount converter control data needs to be updated for operation with that lens. MOUNT CONVERTER MC-11 incorporates the data necessary for each compatible lens and uses a dedicated control program to optimize AF drive, aperture control, and other functions. It is compatible with functions of the camera that maintain peripheral brightness and correct transverse chromatic aberration, distortion, and more. As new compatible lenses are released, control data for MOUNT CONVERTER MC-11 can be updated via a personal computer.. Note: Lens data updates require the installation of the latest version of SIGMA Optimization Pro on your personal computer. 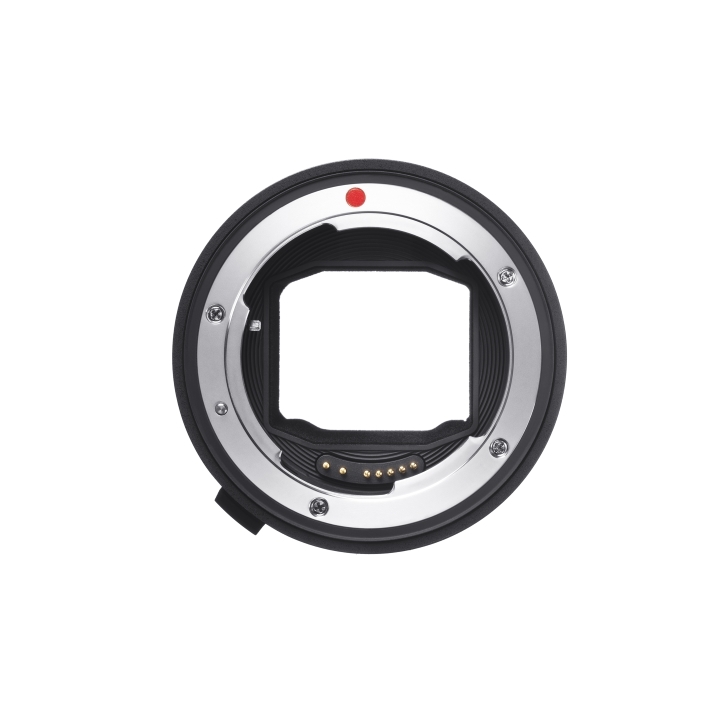 The compatibility of MOUNT CONVERTER MC-11 with the OS features of both the lens and the camera body makes possible superior correction of camera shake and other stability issues. 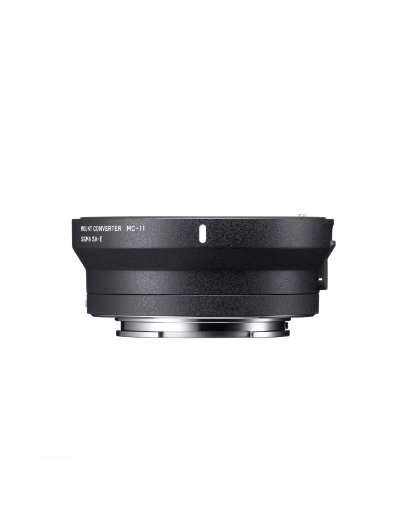 When used with a camera body that features an OS function, MOUNT CONVERTER MC-11 allows angle shake correction in the lens for superior corrective performance. 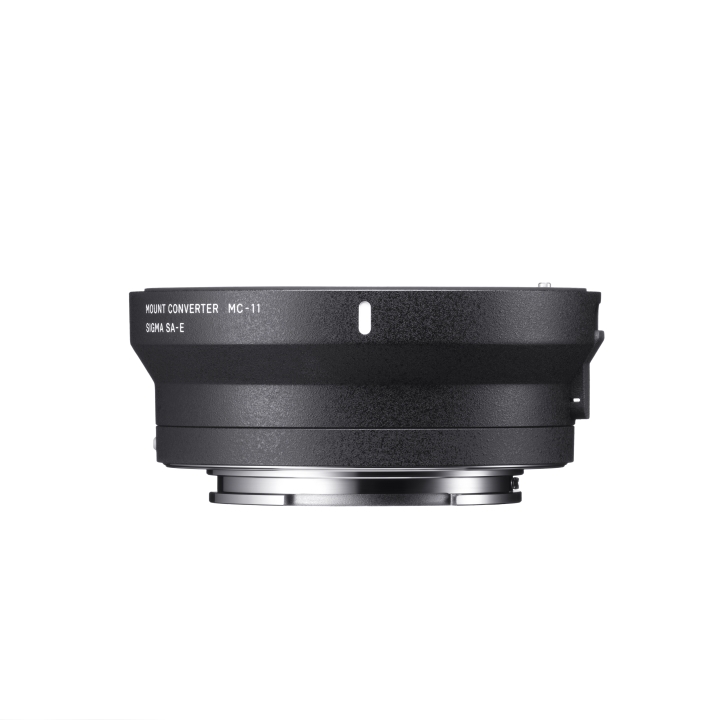 MOUNT CONVERTER MC-11 features flocking in its interior to help prevent internal reflections and a reduction in lens performance. Lens type, focal length, F number, and other tags are embedded as Exif data in the image file. Green light: The lens is compatible. 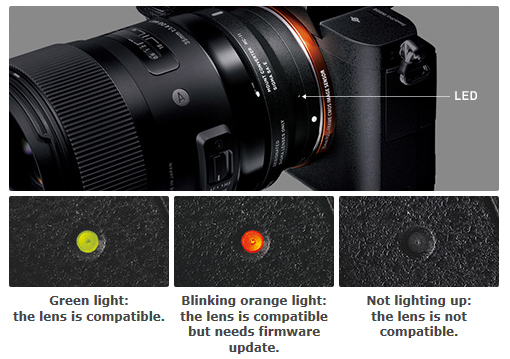 Blinking green light: The lens requires a firmware update with the USB Dock. 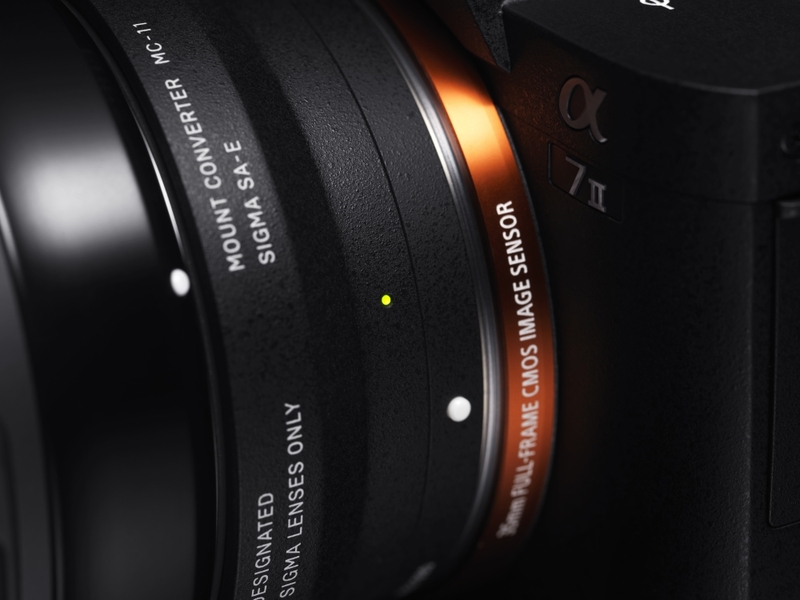 Blinking orange light: The MC-11 requires an update to read new lens data. Off: The lens is not compatible.